Alright. So, you’ve set some goals. That’s awesome. Good for you. How are you going to remember them? One thing that I firmly believe is that you have to be intentional with what you want in your life. If you’re not intentional, your chances of living the life that you want to live go down. Dramatically. This is the main reason that I set goals: to keep me accountable and on track. The only problem is, I write them down in my journal, and that page gets buried less than a week later. Basically, this board can become what you want. Start flipping through magazines and clipping photos/text that appeals to you. Look for things that you like, things that represent your goals. 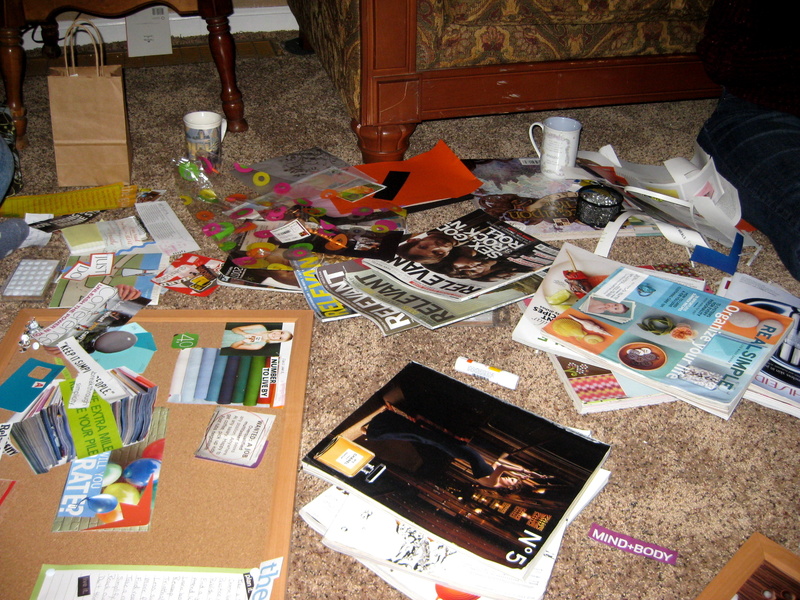 It is imperative that you make a mess. 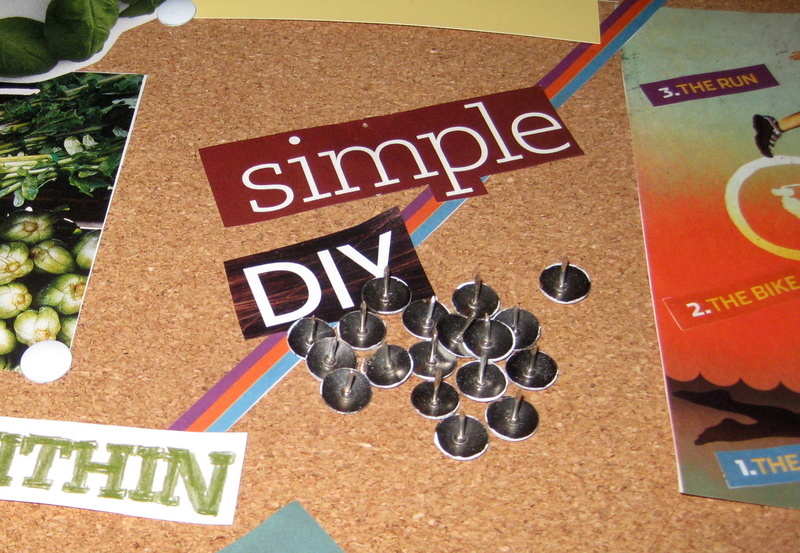 Once you’ve gathered enough material, start to arrange it on your board. However you want! That’s the beauty of this. It’s all you. If you’re tempted to dismiss this because you’re “not creative,” I won’t listen. Just start. You CAN do this. You ARE creative. Don’t think. Just do. Give it a try! 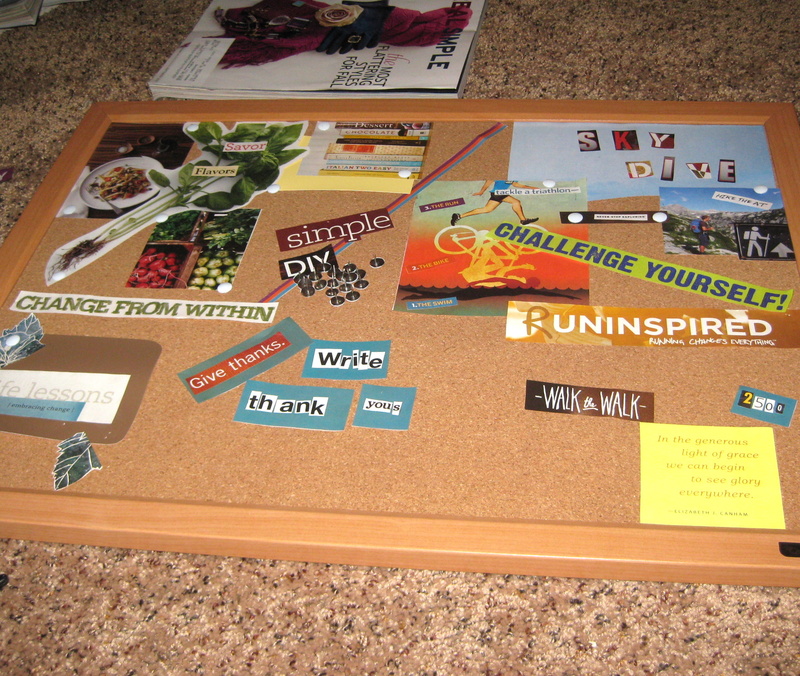 Make a vision board, or an inspiration board, or a….call it whatever you like! Hang it somewhere that you will see it regularly. Everyone needs visual reminders of what/who they love in the world. We all need to see who we want to be, where we want to go, and what we want to accomplish. The world is your oyster! I wanna know: What is one new thing that you want to try in 2011? I love it! You are so right…unless we are constantly and tangibly reminded of goals, they just don’t happen. One of my vision boarding goals is to try 25 new recipes over the course of the next year. I don’t even know what that means yet – but I anticipate creating some absolute disasters!